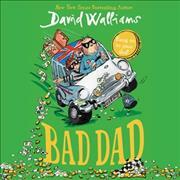 The new heart-warming and hilariously brilliant story from number one bestselling author David Walliams. Beautifully illustrated by artistic genius, Tony Ross. Dads come in all sorts of shapes and sizes. There are fat ones and thin ones, tall ones and short ones. There are young ... read full description below.